We can ship and pack your materials as instructed, and notify you when your shipment has arrived. If your company is experiencing storage or shipping problems, give us a call. Small and mid-size companies can benefit from our shipping and receiving services. 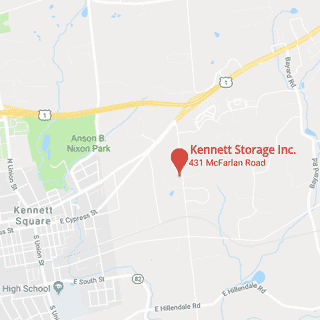 Kennett Storage stocks a large assortment of boxes, packing tape, bubble wrap, and many other moving supplies. Professional grade moving boxes – space saving, heavy duty moving boxes ensure your items arrive at their destination safely. Let us help you determine what size unit you need!